Extra Life is a yearly marathon where gamers from around the world commit to playing games of all kinds for 24 hours non-stop to raise money for Children's Miracle Network Hospitals. 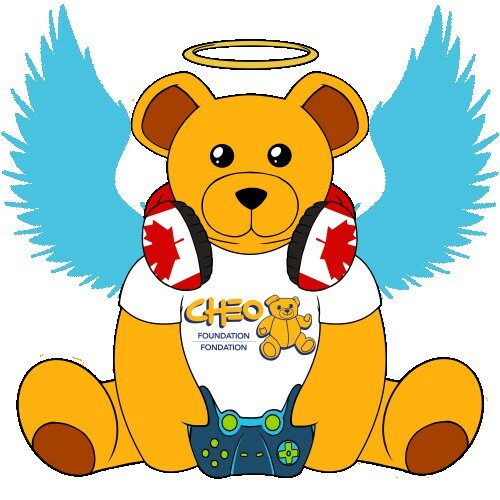 Myself, like many others in Ottawa, play for the Children's Hospital of Eastern Ontario, also known as CHEO. I've done 9 separate 24 hour marathons since 2011 and thanks to your incredible generosity, have raised just shy of $15,000 for CHEO so far. Since it's humble beginnings in 2008, Extra Life has raised over $50 million to help sick kids in our community and shown loud and clear, the incredible good gamers can do for the world when we come together. In prior years, I've tended to only start hyping my Extra Life campaign close to the official Game Day, with an announcement of what I'll be doing on that day and laying out my stretch goals for the year. For 2019, I'm doing things differently. I'm going to be working towards my Extra Life goal throughout the year in different ways, including completing last year's stretch goals, doing events with groups like #MixerForTheKids and other various endeavors. I'll still have something big happen on Game Day and will still drive hype closer to that time but rather than do things in one short push, I'll be fundraising in various ways all year. 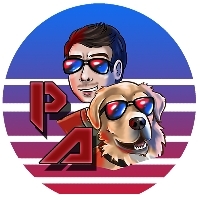 The various communities I'm involved with have been incredible in their support and I think spreading things out can only make things better. Keep your eyes peeled right here and on my Twitter and Discord to find out when my next Extra Life event is happening and how you can help! What's this about stretch goals? For several years now, I've had stretch goals as a part of my campaign. They usually mean that when I hit certain targets, I commit to playing horror games (which I'm a total weaksauce at) in one sitting each on stream for your sadistic amusement. Thanks to you all, I have achieved the $1,000 Extra Life gold medal target for the last 8 years in a row! I don't intend to stop that streak this year! Keep an eye on this page, my Twitter and Discord to find out when the next stretch goal stream is happening. EXTRA LIFE NOW SUPPORTS CANADIAN DOLLARS! You can donate to my campaign right from this page using a credit card or PayPal. No amount is too big or too small. 100% of your donation goes to help CHEO (though you can optionally offer to cover the processing fees as well) and all donations of $10 or more will receive a tax receipt early in 2019 if you provide your mailing address. If you donate during the stream, your donation will be shouted out and if you leave a message with your donation, I'll make sure that's read out too. If you can't afford to donate or even if you can, please spread this far and wide on your social media feeds and Discords. You can also register to participate in Extra Life this year if you want. Just sign up for free on the web site. Anyone who lives in Ottawa or knows someone who did has been touched by CHEO and the incredible work they do for sick kids. It's an honour and a privilege to be able to use this hobby we love to do good for such a fantastic institution. Thank you for your support!